On this day in 1944, Slovaks under the rule of Nazi collaborator Josef Tiso rose up in an armed insurrection. Unfortunately, the insurrection failed and would not be over until the arrival of the Soviet Army towards the end of the war in 1945. Slovakia was part of Czechoslovakia for almost fifty years afterwards and eventually became the independent nation of Slovakia in 1993. In honour of one of the most important days in Slovak history, we're looking at Slovakia's linguistic environment through languages spoken in this beautiful and interesting nation. Gerlach Peak, the highest peak in Slovakia. Of course, Slovak is the most commonly spoken language in Slovakia. It is spoken by 4.6 million out of Slovakia's 5.4 million citizens. Slovak has around 5 million speakers total, meaning there are less than half a million speakers outside of Slovakia residing in countries such as the United States, the Czech Republic, Serbia, Poland, Ireland, Romania, Austria, Croatia, the United Kingdom, Canada, Australia, Hungary, and Ukraine. The other languages spoken in Slovakia include Bulgarian, Czech, and Russian. This is principally due to immigration. Rusyn is spoken in the northeast of the country, while Hungarian is found in the southern regions which border with, you've guessed it, Hungary. One of the most impressive things about Slovakia is the level of multilingualism in the country. Nearly 70% of the population aged over 25 speak two or more foreign languages, making Slovakia the second best country in the European Union when it comes to foreign language ability. This weekend we've been lucky with independence days, with yesterday being Ukraine's and today being Uruguay's. As per usual, we felt it only fitting to honour Uruguay's national day with a look at the country's linguistic landscape. Of course, Día de la Independencia means "Independence Day" in Spanish, and today was the day Uruguay declared its independence from the Brazilian Empire in 1825. It wasn't until 1828 that Uruguay's independence would officially be recognised on August 28th. Uruguay, as a nation, is not as linguistically diverse as one may think. Though several other countries in South America feature many indigenous languages, Uruguay does not. There are very few descendants of the native peoples, and sadly Uruguay is thought to have no surviving indigenous languages. However, the Spanish utilised in the country of Uruguay is particularly interesting. A large number of Italian immigrants have helped shape the Spanish language employed in the area. The mixture of Spanish and Italian used in the region is known as Cocoliche and makes use of hybrid words and mixed vocabulary. English has a significant presence as a second language, as it does in many parts of the world. Recently it is becoming more and more common amongst younger Uruguayans and those in business. Given that Uruguay was previously part of the Brazilian Empire, it should come as no surprise that Portuguese is also spoken in parts of the country, especially the areas nearer Brazil. In border areas, the language of Portuñol is prominent. It is a mixture or pidgin of Portuguese and Rioplatense Spanish, a particular type of Spanish that is spoken principally in Argentina, Bolivia, Uruguay, and Grande do Sul in Brazil. A few days ago, we covered the constructed language of Esperanto. As a result, it got us thinking about constructed languages and international auxiliary languages. As we said, Esperanto is the world's most popular constructed language. Ido, however, is not. Ido was created in the early 20th century following complaints about Esperanto. The language was designed to address the flaws in Esperanto and to correct them. 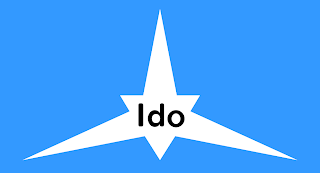 The Ido movement never really garnered much support, and it wasn't until the age of the internet that Ido actually gained any momentum. Even now, it only has a couple hundred speakers and still lacks support. The first of Ido's changes to Esperanto was removing all diacritics from the alphabet. Ido's alphabet is identical to the Latin alphabet as used in the English language. The 26 letters represent 26 individual sounds. There are also three digraphs, ch, qu, and sh, which are used. The phonology of Esperanto always used a stress on the penultimate syllable. Ido, however, does not always follow this rule, instead opting to change the stress for verb infinitives to the last syllable. In terms of vocabulary, Ido prefers to retain nouns as gender-neutral rather than defining words such as occupations as gender-specific. Even though constructed languages are man-made inventions, one could say that they are still subject to evolution and even revolution. Over the last few days we've been looking at Esperanto, the world's most popular conlang. We've seen the formation of the language, its use in the world, and the way it sounds, or its phonology. Today we'll be concluding our look at Esperanto with the grammar and lexicon, which we feel will bring the whole language together nicely. Of course, the grammar and lexicon of a constructed language can be identical or completely different to those of naturally occurring languages, which can evolve and borrow words from other languages. It's all really up to the creator and the users of the language. Zamenhof's dream of Esperanto being an international auxiliary language intended to foster peace meant one thing when it came to grammar, regularity. Esperanto grammar in comparison to other languages is designed to be highly regular, with as few grammatical irregularities as possible. The main principal utilises suffixes, with certain suffixes dictating specific grammatical elements. For example, words ending in -o are nouns and those that end in -a are adjectives. As a result, it can be very simple for learners and even those who are fluent in the language to easily distinguish word types. When it comes to the conjugation of verbs, the suffix -i indicates the infinitive, whereas -is indicates the past tense in the indicative mood, -as is the present indicative and -os is the future indicative. There are no individual conjugations according to the subject as the subject is already mentioned. Simple, right? Speakers of Esperanto have been permitted to borrow words from other languages, given that only the most international of words are used and that they are adjusted to utilise the same rules that govern all word types in Esperanto. Since the rules that govern the roots of words in Esperanto come from either Greek or Latin origins, Esperanto fails on its goal of being an international language. While many of those who speak a language of Indo-European origins will find the lexicon to be fairly self-explanatory, speakers of other languages will not find the lexical roots so obvious. Over the past two days we've looked at the creation and history, and then the application and usage of Esperanto. Now that we've set the scene, we'll be having a look at how Esperanto is put together. As a conlang, Esperanto can't really be classified as belonging to any other language families. Instead, Esperanto is classified as an International Auxiliary Language. Though the language was heavily influenced by Indo-European languages, taking on the phonemic properties of Slavic languages and the lexicon of Romance and Germanic languages, Esperanto has drawn heavy criticism for being too Eurocentric. When speaking Esperanto, the stress is usually on the penultimate syllable, much like Italian and in poetry. The phonology is particularly interesting as the relationship between letters and phonemes is direct, meaning that every letter used in Esperanto has only one phoneme that it could represent. This was particularly important to Esperanto's creator, L. L. Zamenhof, who declared the rule as "one letter, one sound". The phonology is also very similar to Polish and Belarusian, which is wholly unsurprising given that Zamenhof himself was born in Bialystok, where most of the population spoke Yiddish and were either Poles or Belarusians. The relation between letters and phonemes is as closely related to the International Phonetic Alphabet (IPA) as possible. The language currently features 23 consonants, 5 vowels, 2 semi-vowels, and 6 diphthongs. This is reasonably low given that, depending on the dialect, English speakers can have up to 20 vowel sounds. Having covered the phonology of Esperanto, tomorrow we'll be continuing our evaluation of Esperanto by looking at the Esperanto grammar and lexicon. Yesterday we began discussing the history of Esperanto, a constructed language or conlang that was created by L. L. Zamenhof. We left off yesterday mentioning how the US army used Esperanto in their training exercises and drills. The main reason that the US army made this decision was that Esperanto has no nation of its own, so it would be very difficult for any other nation to take offence at the military practices in the US. It was also useful as it was fairly unlikely that any of the troops taking part in the drills would have learned Esperanto before. A map of European Esperanto groups in 1905. It would seem that given its political neutrality, Esperanto would be the ideal language for everybody to learn, wouldn't it? It turns out that the ideal of the language of peace wouldn't be as readily adopted as Zamenhof would have liked. Though UNESCO recognised Esperanto in 1954, to date no country has recognised it as an official language. Esperanto has an estimated 100,000 to 200,000 speakers, though some estimates reach as high as 2 million. Esperanto also has around 1,000 native speakers. The lion's share of these are children born to parents who met through Esperanto and as result their children were born into an Esperanto-speaking household. Almost all of these children are raised bilingual due to most of the outside world speaking a language other than Esperanto. Since we've looked at the history and use of Esperanto, tomorrow we'll be continuing our look at the language with an analysis of its linguistic construction. For those of you who don't know about it, Esperanto is a language, but not like you would think of in the traditional sense. Esperanto was the brainchild of L. L. Zamenhof, a linguist and doctor in the 19th century who had the idea of creating a language that could unite the world. In its simplest form, Esperanto is a tool that was intended to transcend political boundaries, nationalities, and ultimately, foster peace throughout the world. The idea was that if everybody had the same language, one that was easy enough to learn, then people would eventually stop fighting. You certainly couldn't doubt Zamenhof's ambition. 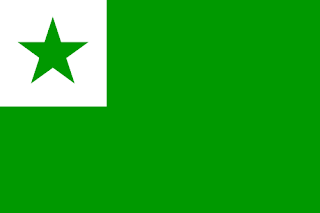 Esperanto has its own flag but not its own country. Zamenhof went ahead and created his language, which is known as a constructed language or conlang. Though phonemically-inspired by Slavic languages, the lexicon takes inspiration from mainly Romance languages, and to a lesser extent Germanic languages. Esperanto uses the Latin alphabet and the same diacritics as several other Slavic languages. In Nazi Germany, the language was singled out as being a tool for Jewish conspirators. Since Zamenhof was Jewish, this led to the language not only being mentioned in Adolf Hitler's Mein Kampf, but also led to Zamenhof's family being targeted. Fascist Italy was not particularly against Esperanto though, as it shared a lot of phonetic similarities with Italian and was even permitted at the time. However, this was a rare case as Esperanto was viewed by most as the language of spies since Esperanto doesn't hold official language status in any country and could easily be used as a tool to secretly communicate. The American army even used Esperanto in war games and training exercises in the 50s and 60s, though we'll have more on that tomorrow. As we've already had a look at Europe, Canada, the US, Mexico and the Caribbean, South America, Asia, and the Middle East and Africa, we thought that given the huge number of languages spoken in Southeast Asia that Indonesia and the Philippines deserved their own post. Batam - The Indonesian city of Batam is home to the Indonesian, Batak, Minang, Javanese, Hokkien, and Teochew languages. It's also around the same size as Singapore. Having grown in what was once a forested area, Batam became an important harbour, industrial zone, and a bit of a tax haven. Unfortunately for Batam, it has recently been exposed as a facilitator of the ivory trade. A fountain in the city of Balikpapan, Indonesia. Balikpapan - Located on the east coast of the island of Borneo, the seaport city of Balikpapan has five major languages in the form of Indonesian, Banjar, Javanese, Lawangan, and Bugis. The city is home to a booming oil trade and as a result was an important target for both sets of belligerents during the Second World War. Makassar - Indonesian, Bugis, and Makassarese are the languages spoken in the provincial capital of South Sulawesi in Indonesia. As a former precolonial fort, the city is now principally a port and major centre of the fishing industry in the region. Medan - The capital of North Sumatra, Medan has a significant number of languages spoken in its streets every day. These include Indonesian, Batak, Javanese, Medan Hokkien, Tamil, and Minang, to name a few. The city is also the largest city in Indonesia outside of Java. Surabaya - Indonesian, Javanese, and Madurese are spoken in Indonesia's second largest city and the capital of East Java. It's known as the "city of heroes" owing to its participation in the Indonesian National Revolution. Currently the city, like many in Indonesia, operates principally as a port and is famed for being the first city in the world to breed orangutans in captivity. Now that we've finished our look at multilingual cities in Indonesia, it's time to head over to Philippines. A Spanish style street in Vigan, Philippines. Vigan - In the Philippine city of Vigan, different languages can be heard everywhere, from Ilokano to English, Tagalog, and Spanish. Due to its Hispanic architecture and being one of several notably Spanish-looking cities in the Philippines, it holds a World Heritage Site status. Baguio City - English, Tagalog, Ilokano, and Ifugao are the main languages spoken in Baguio City. Despite not being one of the largest cities in the world as it is only home to around 300,000 inhabitants, Baguio City is a centre of commerce, business, and education. Are there any great multilingual cities that you feel we've left off our list? Let us know about them in the comments below.